Put butter in a 13-by-9-inch baking pan. Set in oven to melt. Meanwhile, whisk flour, 1 ½ cups sugar, baking powder, and salt in a small bowl. 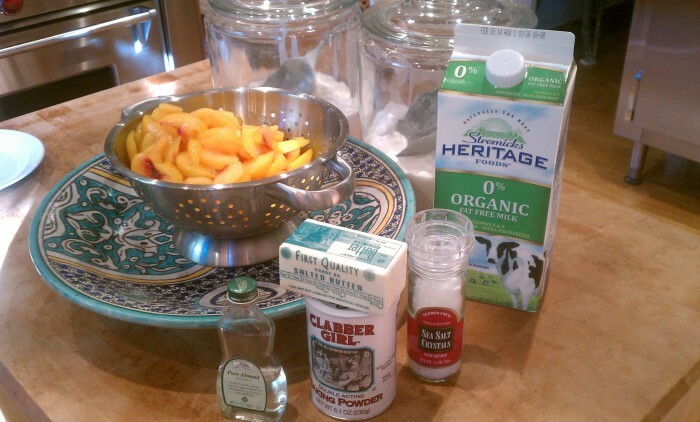 Whisk in milk and ½ teaspoon almond extract until smooth. 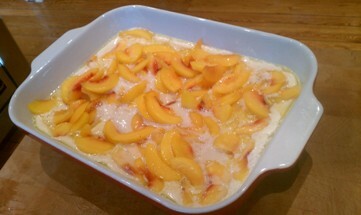 Toss peaches with remaining 2 tablespoons of sugar and ½ teaspoon almond extract. Pour batter into pan and arrange fruit over batter. Bake until batter turns golden brown (45 to 50 minutes). 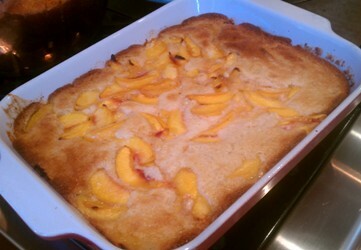 You can also serve cobbler with vanilla ice cream or lightly sweetened whipped cream.